Those cold nights at the game won't keep your little Chicago Blackhawks fan from cheering on the team in Chicago Blackhawks Long Sleeve Hoodie! 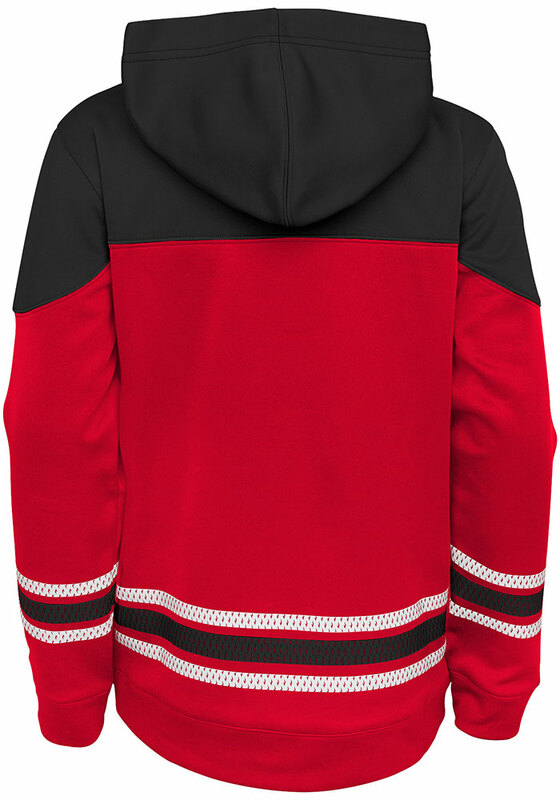 Give them this Chicago Blackhawks Blackhawks Youth Red Freezer Hooded Sweatshirt to keep warm in the stands. 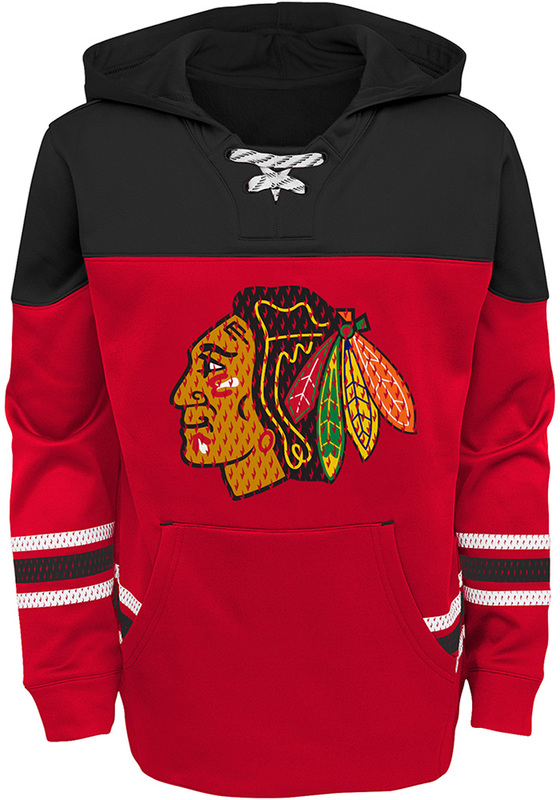 This Blackhawks Long Sleeve Hoodie features a silicone print team graphic on center chest with printed sleeve stripes.